Habrahabr » Development » Programming » The industry of launches in the UK is awakening and setting goals - half a century after the "Black Arrow"
The industry of launches in the UK is awakening and setting goals - half a century after the "Black Arrow"
Woomer Landfill in Australia; she successfully brought out a small satellite called Prospero, designed to study the effect of space on orbital vehicles. This was the first time in the history of Britain when it launched a payload on a rocket of its own design and construction; alas, such an event was at the same time the last such, so far. 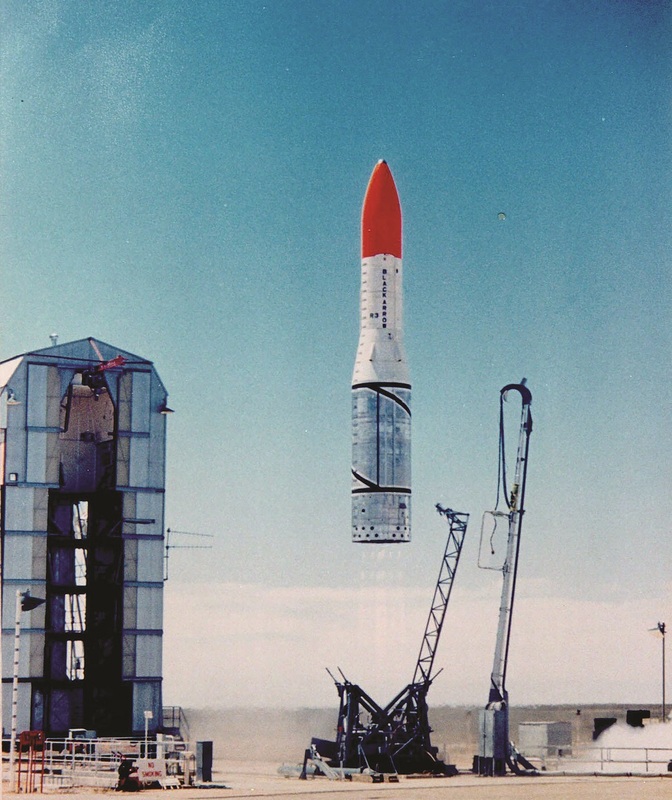 After three months earlier, the government closed the Black Arrow program, but the launch was still in progress, since the RN had already been delivered to Australia. In fact, the UK has also become the first country that has acquired the ability to produce orbital launches only to then immediately abandon it. But now, after a lot of efforts made by the British government, and for years of lobbying for the interests of the space industry, the United Kingdom seems to be returning to the launch services market. At the International Air Show in Farnborough, held in mid-July, officials made a number of statements, according to which it is planned to restore the country's ability to derive a payload into space from the launch sites on the territory of the state; However, the means of withdrawal, for the most part, so far will be a third-party production. The construction of the cosmodrome in Britain was discussed for years. Basically, there were proposals to rebuild some existing facility, such as a former military base or an underloaded civilian airport, into a suborbital spacecraft like SpaceShipTwo from Virgin Galactic or other air-launched systems. In 201? the list of potential applicants for rework has narrowed to six points. However, as the focus of attention in the industry shifted to microsatellites and ultra-small LV, the strategy of the British government began to change in a logical way; and on July 15 it announced that instead of one candidate out of six, the site will be built from scratch. Vertical start in northern Scotland . "Alas, it took some time to get a secret," says Roy Kirk, project manager at Highlands and Islands Enterprise; this agency for the development of the Scottish economy has just received a state grant of $ 3.3 million to build a cosmodrome on the A'Moin peninsula in the Sutherland region, on the northern coast of Scotland. It is planned that from this point it will be possible to launch vertically small rockets with a trajectory in the northern direction. "Simply super, that from the new complex we just get access to where we most strive, for example, at sun-synchronous orbits or any others with an equally high inclination, "explains Roy Kirk." But for this, you do not need to erect any kind of hulk. 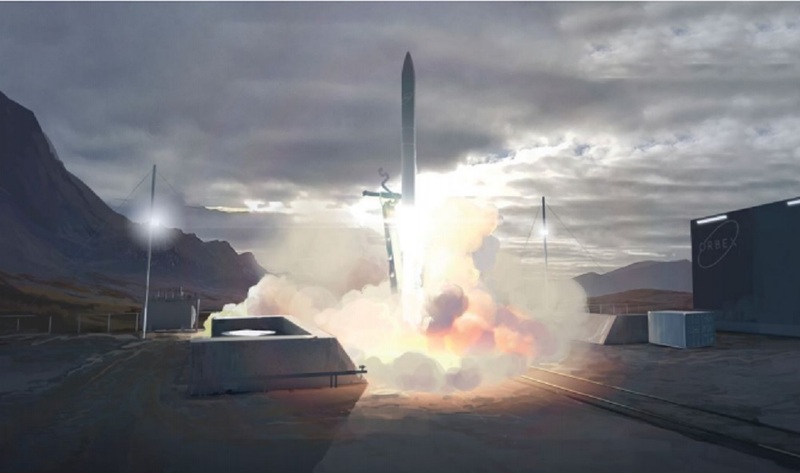 We do not need something like "Missile alley" at Cape Canaveral, but rather vice versa, similar to the fact that at Rocketlab in New Zealand ". Kirk also added that, in addition to the initial contribution from the government, the Highlands and Islands Enterprise "secured the principled support" of investors for another $ 13 million needed to build a basic infrastructure. In addition, the processes of coordination with environmental and other supervisory organizations regarding the construction of the cosmodrome have already begun, so that all the necessary documents will be ready by 2020. "Obtaining all the required permits may not be so easy, and all contractors have set themselves the goal of achieving public support for the project," Kirk says. "According to the current work schedule, we seem to be packing up, but in the planning process we are still faced with many obstacles, without any doubt. We very much look forward to the approval of local, as well as the contribution of all who participate in this large construction. But who knows exactly and how seriously "for us" - only time will show. " Despite the fact that the UK Space Agency (UKSA) finally chose a space for the cosmodrome, there was not a word said about who would start with it. Only the next day the public was presented with a list of companies that are ready to become operators under the condition of additional state support. Of course, one of them was Lockheed Martin, which received $ 31 million for organizing launches in Sutherland. This amount includes, among other things, financing the development of the booster block called Small Launch Orbital Maneuvering Vehicle, which is promised to be manufactured in Moog , and a cube-technological demonstrator from Orbital Micro Systems, which plans to deploy a whole constellation of such satellites in the future to monitor the weather. 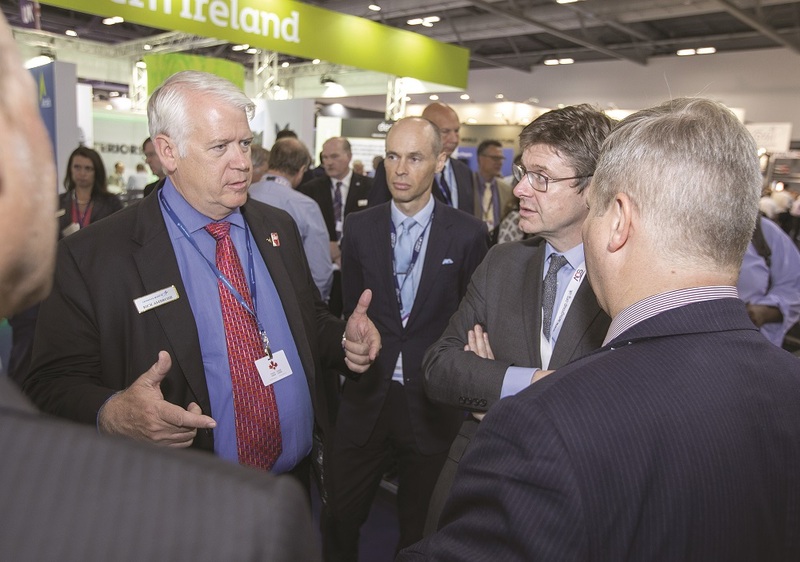 "The countdown has begun before the first launch from the British land," said Rick Ambrose, executive director of Lockheed Martin on commercial space issues at the Farnborough Air Show during a briefing on the UK's space strategy. The funny thing is that the representative of Lockheed Martin did not specify what exactly will start "from the British land", since the company does not have its own launch vehicle, and all that was shown at the presentation is a kind of conditional "missile" entirely painted in black and carrying on board logo LM and "Union Jack" . 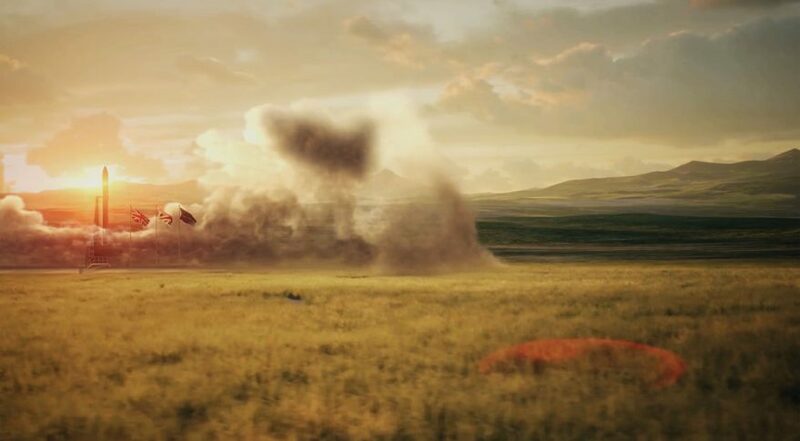 On questions about this, Patrick Wood, the regional director for space from Lockheed Martin, replied that "the most suitable and proven commercial reliability launcher specifically designed for the removal of small vehicles will be used. We will inform you in the near future. " In connection with this response, gossip immediately spread wide, that the "most suitable", of course, would be the Electron Rocket from Rocket Lab, the company Lockheed invested in in 2015. However, LM officials refused to confirm such rumors, nevertheless saying about Electron as a "preferred choice". Patrick Wood: "We work closely with Rocket Lab and know that their rocket is very good. But for now, we are closely watching them only as a strategic investor. " 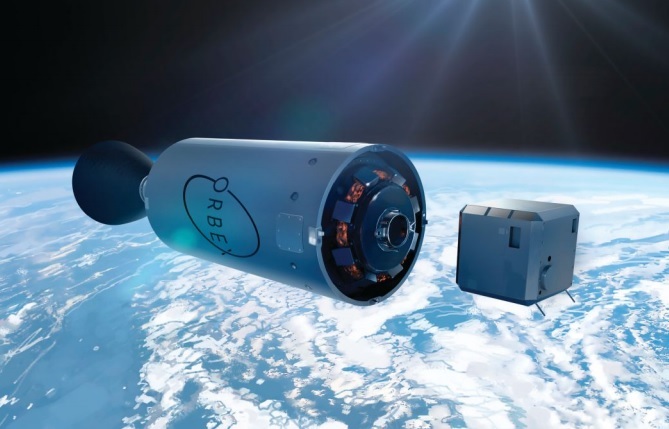 Also, there are questions for another company chosen by the government - Orbex, a small startup from the UK, is developing an ultra-small launch vehicle called Prime, which is also supposed to be used for launches from the cosmodrome in Scotland. On its development, the start-up has already received $ 7 million from the UKSA. For a while Orbex seemed to become invisible, but at Farnborough the company presented a large-scale exposition; In addition, it became known that Orbex managed to raise an additional $ 40 million both through government grants and through private funding from European agencies. Chris Larmour, CEO of Orbex: "Around the world are now several dozens of different projects of ultra-small carrier rockets, but only a few have both competent technical experts and acceptable material support; I think, given the fact that we were chosen for such a serious task, we are now also on this list. " Investments will help Orbex increase the staff from 15 employees to 40 or more by 2019; Now they are busy with testing engines and modifying the subsystems, and the first flight of the finished product should take place in 2021. However, on the way to space from the Lockheed Martin site, Orbex will clearly have some problems. The fuel for Prime is propane, while Electron - if it is still chosen LM - kerosene. Chris Larmour argues that part of the infrastructure can be made common, but two separate starts will be needed. "In the next few months, we will have to sort out these issues with all the participants of the program," Chris says. "But we are not against cooperation, if this is to the benefit of the common cause." The government's decision about Scotland is the loss of positions for airports, each of which has lobbied for many years its own candidacy in the competition for the right to become a future cosmodrome. However, the UKSA organized an additional fund for 2.5 million dollars to one of them, which "will provide an appropriate business plan." And at one airport, it seems, they think that there is "suitable" there. Newki-Cornwall at an air show in Farnborough signed with the Virgin Orbit agreement that could lead LauncherOne straight to the runway in southwest England. Patrick McCall, managing director of Virgin Group and board member of Virgin Orbit, believes that the idea of ​​using Cornwall as a platform meets the needs of customers: "Many are willing to go into space, but these people are scattered all over the planet. Since we have customers, including here, we can simplify the receipt of services for them. In addition, from different points can be sent to different orbits. " Plus, adds McCall, this is a way to help the UK space industry. "Richard[Брэнсон]and I, we are both British, and we are always happy to support the country's space industry. And then such a chic possibility turned up, "he laughs. In addition to the above, in the United Kingdom there are other developers of carriers who are full of optimism about the prospect of winning a state grant for their projects. For example, the Skyrora company, whose research and production facilities are concentrated in Ukraine despite the British registration, designs an ultra-small LV, and its first flight is scheduled for 2019. Skyrora sees itself as a kind of heir to the British space history: some tests are planned on the complexes where Black Arrow was tested, and the fuel components want to use the same ones - kerosene and hydrogen peroxide. "We are proud that we are following her[Black Arrow]footsteps, after 50 years, "- proudly says the company's website. Robin Hague, lead engineer for Skyrora, thinks that the new government initiatives will lead to more achievements than the Black Arrow program, but one can not dwell only on those positions that were voiced in Farnborough. "Undoubtedly, this is a tremendous progress for the UK regarding access to orbit," recalls Robin Hague. "But there is still a lot of work to be done." The article was first published in the journal SpaceNews, July 3? 2018.